In 1990 Diana Gribble and Eric Beecher, in partnership with among others the designer Chong Weng Ho, set up an independent print media company called Text Media. 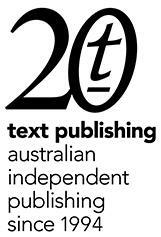 The new company, based in Melbourne, had its own tiny book division, Text Publishing. Di offered me an editing job there in early 1992, soon after I had returned from a couple of years in New York. I was in my early thirties, had co-edited a literary magazine for a decade and was finishing a book. This offer was a tremendous stroke of luck, because Di, Eric and Chong regarded Text as a blank slate on which we could all scribble our ideas about what an independent Australian publishing company might do. The Text list, a joint venture with a now-vanished multinational publisher called Reed, amounted to only a handful of non-fiction titles when I joined, but the point of the enterprise was to take risks and make up our own rules. We had little money so we could afford to be nimble, inventive and fearless. In late 1993 we severed the joint venture, and started again from scratch. We planned an inaugural list of seven titles, and the first book we published as an independent house was a debut crime novel by an unknown author. We had pulled the manuscript out of the slush pile. We loved everything about it except its title—Dead Meat. The novel was by Shane Maloney and we published it in July 1994 under the new title of Stiff—which didn’t stop Chong from reverently photocopying a slab of raw steak for the cover. Enter Murray Whelan, a fabulously original chronicler of Australian political absurdity. Stiff has never been out of print and is now a Text Classic. Twenty years ago, what did we want Text to become? An imprint worth the candle. Australia was apparently a place to distribute rather than publish books. We set out to show that a local literary house could succeed. We defined success as remaining solvent while publishing books that made a difference. Editorial and design were the molten core of our business. We wanted to rise to the occasion of our writers. The quality of their work would not be separable from how well we read them. Our role was to help them if we could turn good books into great books, to publish them with style, nerve and noise. Publishing is an obsessive activity. There is no other way to do it well. You never stop learning how to publish a book, how to create the paths that allow it to find the readers who still don’t know that it will become essential to their lives. We spin the thread that links the separate imaginative experiences of two people who may never meet: the writer of the book and the reader who buys it. Our great good fortune at Text was to be pursuing this obsession in a country bulging with literary talent. The writers began to come from every point on the compass. We wanted to offer them an indelible publishing experience. 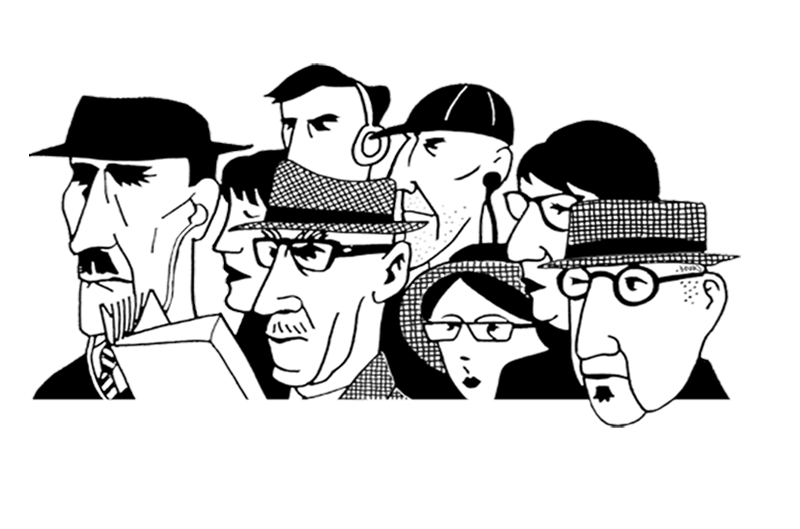 We steeped Text’s culture in our love of writers and writing, and the meticulous craft of making a book. Every time we published a book we put something new into the world. We wanted to find readers in as many places as possible. We discovered the addictive high of selling foreign rights. I would go into the office late at night and whip faxes off to publishers around the world describing our wares. We danced in the aisles at Frankfurt when we made a sale. It was not long before email gave us entry to the sleepless global bazaar that defines publishing today. 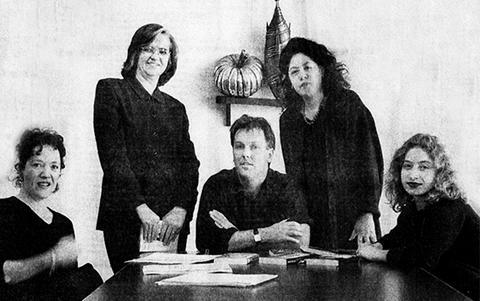 From left: Melanie Ostell, Di Gribble, Michael Heyward, Patty Brown and Emma Gordon Williams. Photo by Craig Abraham / Age, 23 August 1997. The chance beckoned to create an international list, and we seized it. Much of our market is still controlled out of London but we, along with other publishers, began to argue that Australia had long ceased to be one of the far dominions of British publishing. Australian writers are better published in Australia than they were twenty years ago, but many foreign writers still languish here because their books trickle into the country. The system benefits publishers but often fails writers. It may not survive the current revolution in the way that people find and read books. In 2004 Text Media was sold to Fairfax. We were a decade old. What was to become of us? Penny Hueston and I negotiated to buy Text Publishing from Fairfax and we formed a joint venture with a fellow independent, the Edinburgh-based Canongate Books. The seven years of partnership with Canongate were highly productive for both companies but Text’s destiny was to become fully Australian. In 2011, the founders of Lonely Planet, Maureen and Tony Wheeler, acquired Canongate’s shares, joined our board, and we began a new phase. In recent years we have established the Text Classics, an astonishing adventure in discovering lost books, and set up the Text Prize for Young Adult and Children’s Writing, which has already launched some dazzling careers. We have begun to publish books under the Text imprint in Britain and North America. We continue to unearth new talent and to publish prizewinning and bestselling books by writers from around the world. Two decades later we remain solvent. Our culture stands for something, not least for the idea that it can be the finest thing in the world to walk beside a writer. Many talented people work at Text and leave their fingerprints on the business. We can’t shake our belief that the wheel needs reinventing. At twenty, Text still feels to me like the upstart outsider, the restless, impatient and disruptive company I plunged into, heart and soul, all those years ago.